One of the popular games at online casinos is Blackjack. One of the issues new players face is which variant of blackjack to choose from. The information below will be helpful to players that have a basic understanding of the game but new to the online version. More often than not it is wise to start with what not to choose and this is the case with blackjack. When playing blackjack at a land based casino there are three blackjack rules that are important. Blackjack pays 3 to 2, when there is a tie with the hands then the hands push and the bets are returned. There are some online versions of blackjack in which these rules are changed to favor the house. Here is an example, blackjack pays 1 to 1; tied hands go in favor of the dealer and if the dealer’s hand is valued at 22 then it is a push. It is true that these different versions of blackjack offer the allurement to the player despite these disadvantages. But the advantages are minimal compared to the disadvantages and new players should not wager on these blackjack variants, except only for fun to keep their bankroll. One of the popular variants is Blackjack Switch. 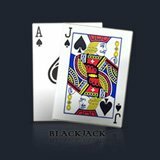 With this online blackjack game players start with two hands and can switch the second card that is dealt if it provides them with an advantage. But keep in mind that the other rules are changed in favor of the house as explained above. Even though Blackjack Switch is an interesting and exciting game to play it can be a losing proposition when played with real money. The rules that have the maximum impact on the house edge is whether the dealer has to stand on a soft 17 or whether he has to hit on a soft 17. Allowing the dealer to hit on a soft 17 more often than not ends up with a valid hand value that is greater than 17. This gives the dealer an advantage. Therefore the different blackjack games where the dealer can hit on a soft 17 reduce the return to the player. Different types of blackjack games are played with different number of card decks starting from one and going all the way up to eight decks. New players should always be aware that the house edge in blackjack goes up with the number of decks being used. Therefore all of the other rules will remain the same and a player can expect a lower return from the game that is being played with a larger amount of decks. The rules that are set with splitting and doubling down also have the same result in increasing the house edge. The house edge is least when there are no restrictions on splitting and doubling down. Here is an example, there are different blackjack games in which players cannot double down after a split or players can only double their hand when values are between 9 and 11. Same as when there are blackjack variants in which players can split only once or only twice. Most of the time what happens is that when the player is given the benefit by driving the dealer to stand on a soft 17 or given an advantage by limiting the number of decks to one or two, this advantage is neutralized by setting restrictions on splitting or doubling down. Last but not least, new players should be aware that some of the certain features that are supposed to be advantageous can sometimes go in the wrong direction. Different versions of blackjack helps the fact that they allow players to take insurance against the dealer having a blackjack. Some think that the insurance bet is a waste of money and that in the long run it just drains the players’ bankroll. Some blackjack games allow the players to split on unlike cards of value 10, such as a Jack and a Queen. Once again blackjack strategies say that players should not split on cards that have a value of 10 because a value of 20 is a winning hand. So as a result of allowing players to split on different card values of a 10 is not really an advantage for them it tempts them to make a mistake.